Diamond Spray for metallographic specimen preparation. Shake before use, product is not stable. Diamond Spray is easy to use, hassle-free and, because of the absence of liquid, leaves a free-cutting layer of diamonds resulting in high removal rates. 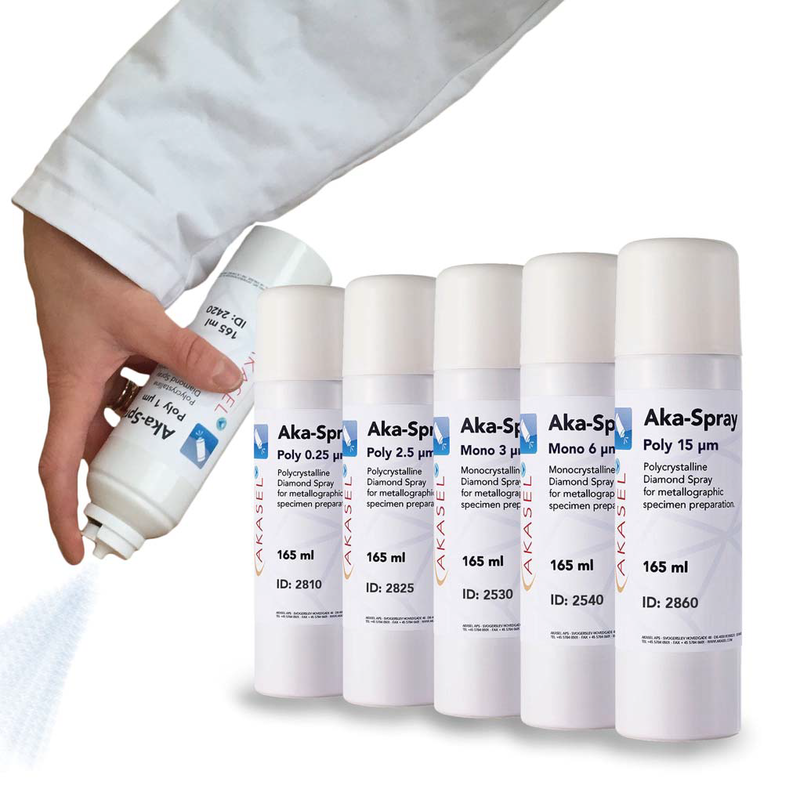 Diamond Spray is available with polycrystalline diamonds as Aka-Spray Poly and with monocrystalline diamonds as Aka-Spray Mono. Our Diamond Spray contains harmless CO2 and less than 0.1 % water; hence it is very well suited for the preparation of water sensitive materials.